An 8-week-old male was referred to the emergency room from his primary care physician, with bile-tinged vomiting since birth increasing in frequency over the past 2 days. He was born at 39 weeks via spontaneous vaginal delivery, and has been otherwise a healthy child. His examination was rather unremarkable; his vitals were stable, he was mildly dehydrated, but alert, and had a soft, non-tender, non-distended abdomen with normal bowel sounds. The clinical concern was for pyloric stenosis, so an ultrasound was performed, showing, unexpectedly, a "whirlpool sign" on Doppler interrogation (Figure 1A) of the upper abdomen - an imaging finding highly concerning for midgut volvulus. An upper GI study was subsequently obtained, and showed a "corkscrew" appearing duodenum (Figure 1B), confirming the diagnosis of midgut volvulus. The patient underwent a laparotomy for malrotation and Ladd's procedure with appendectomy. He recovered well, with his vomiting resolving post-operatively. The "corkscrew sign" (Figure 1B) refers to the twisted configuration of the proximal small bowel loops seen on upper gastrointestinal (UGI) in the setting of malrotation with midgut volvulus. The "whirlpool sign" is it sonographic counterpart and consists of a swirling pattern of flow on color Doppler ultrasound images created when the superior mesenteric vein (SMV) and the mesentery wrap around the superior mesenteric artery (SMA) (Figure 1A). Midgut volvulus is a life-threatening condition that usually occurs in neonates and young infants. If not promptly addressed, it may result in short bowel syndrome with lifelong dependence on total parenteral nutrition or even death. Bile-stained emesis is the characteristic presenting symptom requiring emergent imaging investigation . The midgut, which is the portion of the bowel supplied by the superior mesenteric artery, namely the distal duodenum to the distal transverse colon, becomes fixed in the abdomen by the mesentery and peritoneum during the normal embryologic process of counterclockwise rotation. In normal rotation, the duodenojejunal junction is left of the midline at the level of the duodenal bulb, while in malrotation, the duodenojejunal junction is characteristically low-lying and the mesenteric root is foreshortened, predisposing the midgut to twist around its axis, a feared complication of malrotation known as midgut volvulus [2,3]. 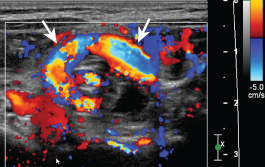 Figure 1A: Transverse ultrasound clip of the upper abdomen shows the "whirlpool sign", a finding consistent with a midgut volvulus. The finding refers to the swirling-like pattern of the SMV and the mesentery twisted around the SMA. 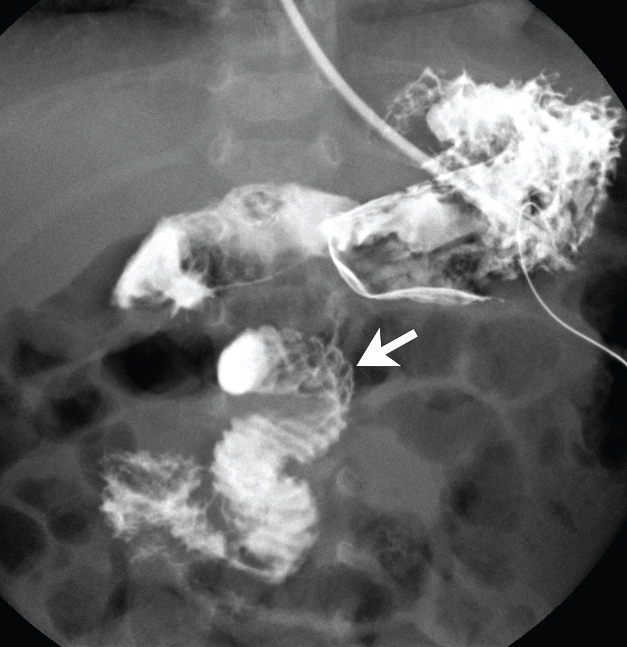 Figure 1B: Fluoroscopic frontal view of mid abdomen obtained during an upper gastrointestinal series demonstrates a "corkscrew" configuration to the duodenum in this patient with malrotation and midgut volvulus. The duodenojejunal flexure (arrow) is abnormally positioned; it is lower than the duodenal bulb and is not left of midline. Epelman M (2006) The whirlpool sign. Radiology 240: 910-911. Koberlein G, DiSantis D (2015) The "corkscrew" sign. 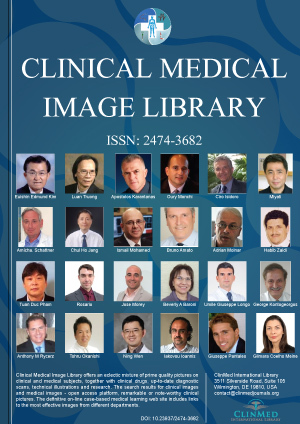 Abdom Imaging 40: 3344-3345. Ortiz-Neira CL (2007) The corkscrew sign: midgut volvulus. Radiology 242: 315-316. Monica Epelman, Department of Medical Imaging/Radiology, Nemours Children's Health System/Nemours Children's Hospital, 13535 Nemours Parkway, Orlando, FL, 32827, USA, Tel: 407-567-4301. © 2018 Kris J, et al. This is an open-access content distributed under the terms of the Creative Commons Attribution License, which permits unrestricted use, distribution, and reproduction in any medium, provided the original author and source are credited.